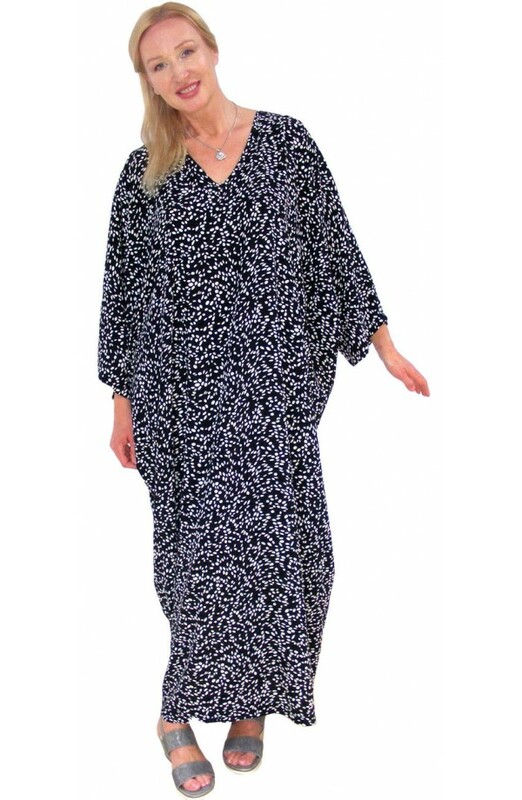 A ladies kaftan in Black and Soft-White with a raindrop design. Fabric is top quality woven polyester. Machine washable, minimum iron. 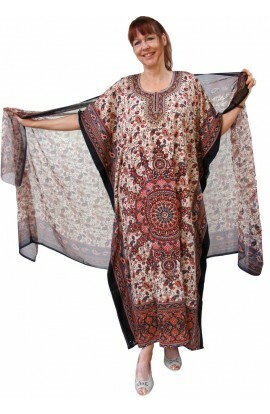 Bespoke version also available if you are outside the size or length of this garment. Please contact us to discuss this.